The SomerTile Stella Nero features a high-gloss finish and an elegant design to add character to any space. The glazed surface offers durability and ease of maintenance for a beautiful overlay that is easy to care for. 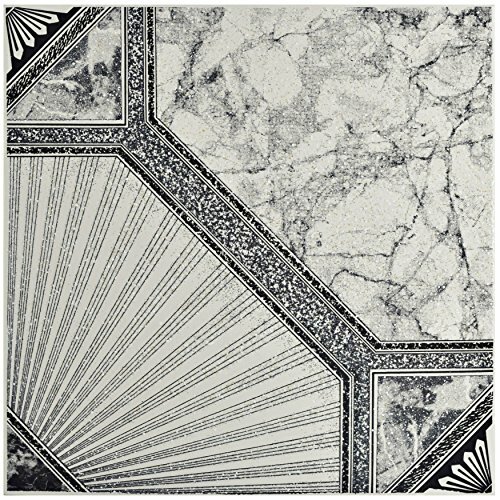 A variety of Gray and white stone-look designs comes together to form an elegant pattern. With its durability and abrasion-resistance, the tile offers versatile installation indoors, from residential baths and kitchens to commercial entryways and sales rooms.